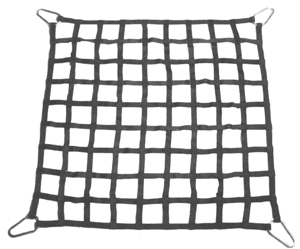 Flight Deck Nets manufactured by Lift-It® are fabricated from slotted webbing certifiable to MIL-W-23223A, specification for slotted webbing, with a standard haze grey latex finish. 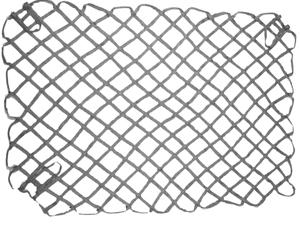 We manufacture rectangular and triangular shaped nets, as well as chock and causeway roller nets to both NAV Ship Drawing No. 804- 1363948, Revision ‘G’ and Drawing No. 803-5184097. 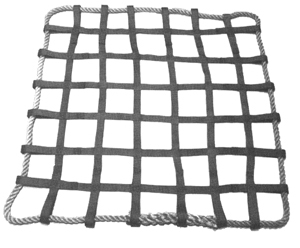 Nylon webbing cargo nets are lightweight, flexible and are more compact when compared to wire or manila rope nets. 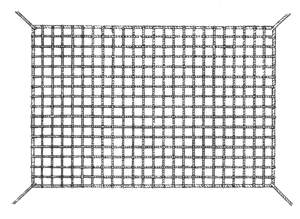 We manufacture cargo nets to MIL-S-18313G, Department of Defense specification for cargo nets, as well as a commercially produced line of cargo nets. 4 ft. X 4 ft. 6 ft. X 6 ft. 8 ft. X 8 ft. 10 ft. X 10 ft. 12 ft. X 12 ft. Protective barriers and load tiedowns.